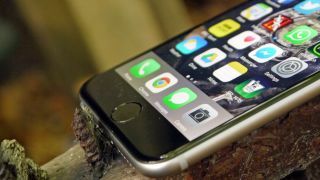 Since the iPhone 5 Apple has been using in-cell display technology for its phones, as by combining a screen, digitizer and touch input into a single layer they're thinner and lighter than the glass-on-glass panels Apple was using previously. That in turn allowed Apple to slim its phones down, culminating in the 6.9mm thick iPhone 6. But there are downsides to the tech and as a result Apple will "most likely" switch back to glass-on-glass screens for the iPhone 7 in 2016, according to supply chain sources speaking to DigiTimes. Production bottlenecks with in-cell panels are apparently holding back higher resolutions, such as Ultra HD 4K, so a return to glass-on-glass could mean we see a big resolution jump on future Apple handsets. In-cell touch panels also tend to be less sensitive at the edges, which makes it tricky to produce edge-to-edge displays. So that's something else we might see from Apple with the iPhone 7, especially as the phone will be due a redesign by then. While glass-on-glass panels are typically thicker than in-cell screens, touch-panel makers are apparently trying to create ultra-thin ones, which would allow Apple to keep the iPhone 7 roughly as slim as the iPhone 6, and makers have apparently already begun sending samples out to Apple. Apple isn't expected to make the switch in time for the iPhone 6S, which is likely to be announced as soon as next week, but by the time the iPhone 7 rolls around we could be in for a display tech change. As with any early rumour we'd take this with a massive dose of salt, especially as it involves moving back to a tech that Apple had previously ditched. Still, the justifications behind it seem sound.